The contouring madness is at an all time high. It has become one of the most talked about and shared fads on social media. It has also become one of the least understood and misused fads. 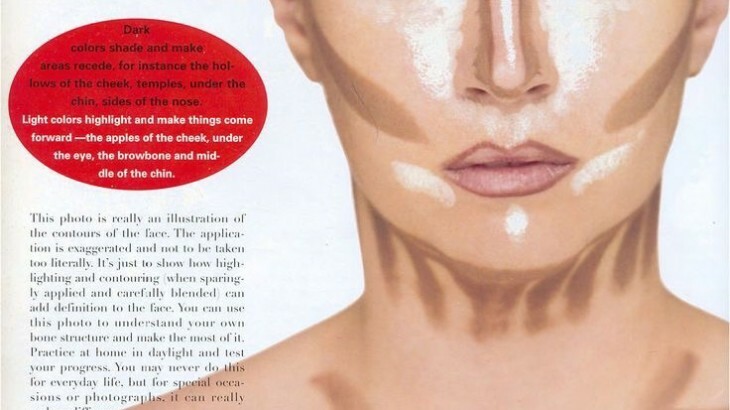 Let’s take a walk down memory lane of when contouring really started being used in mainstream and why. Contouring has always been used in the Makeup Artist world for photography and properly used in film. The book “Making Faces” by one of the most revered and beloved MUA’s of our time Kevyn Aucoin brought contouring to the masses. In this great book of knowledge is contained the most shared contouring picture of all time. As often in our society people looked at the picture and did not bother to read the words he wrote beside it. If you will note Kevyn clearly noted “You may never do this for everyday life, but for special occasions or photography”. What people have done is looked at the picture alone, took it literally and ran with it. Instagram has perpetuated the myth of excessive contouring for everyday use, and turned an effective tool of the trade into a mockery. Another myth is the use of bronzer to contour with, which often times has an orange undertone. Let me ask this have you ever seen a shadow in nature that was orange? What color exactly is a shadow? My next blog post is going to cover proper contouring techniques, and how to achieve a believable contour. Makeup Contouring, instagram, makeup, makeup artist, makeup classes, makeup mistakes, mua. permalink. I agree. Please see a professional when wanting to learn things like highlighting and contouring. What you see in print and on line never translates very well in the real world. As a professional makeup artist, I am happy to read this blog entry! The contouring craze has gotten wildly out of control the past couple years. I see beautiful women walking around during the day looking like they are going to war with these brown, grey, orange, and frosty white stripes all over their faces. There is a time and place and need for contouring, but every day life is not one of them. We need to embrace our natural features, enhance them with integrity, and perfect our look through practicing. If you are going to work in an office building, there isn’t a need to do your makeup as if you were going to be performing on stage under bright lights. Thanks for posting this, Michele! I couldn’t agree more Michele. I warn against contouring and highlighting because you can become addicted to it like I am! There are some very talented makeup artists like Soniaxfyza, Wayne Goss, Vegas_Nay and others but then there are people who haven’t studied at all.